Scientific studies of the use of CES in depression have been going on in the U.S. since the 1960s and over that time hundreds of patients have been involved collectively in those studies. If we look at those studies separately, we can find the level of significance for most of them (it was reported in the publication), and in several others we can learn what percent of the patients in the studies improved and how much, while in others we can learn what percent improvement was seen by the group as a whole. At this juncture, we have a way of statistically combining the results of such studies to get a grand summary of the effectiveness of CES. For example, if we just look at the 21 double blind studies in the U.S. literature of the use of CES to treat anxiety, we find that a total of 807 research subjects were involved, and that 395 received CES treatment while 412 served as controls. If we average the outcome of all the studies (we use a statistical technique called meta-analysis to do this) we find that there is an average 67% improvement among all the patients treated. If a total of 38 of the anxiety studies, with varying research protocols, are analyzed together, they show an overall result of 58% gain. Earlier, researchers at Harvard combined 8 CES studies of anxiety and found a 53% gain, while a researcher at a university in Oklahoma analyzed 8 studies of CES in the treatment of anxiety and arrived at a 51% gain. Using this same type of statistical analysis, it can be anticipated that if 400 additional CES studies of anxiety are performed in the next 50 years, the outcome of 95% of all of them will range from 44% to 70% effectiveness. An effectiveness of 20% is considered good in medical treatment. Regarding depression, when 20 depression studies are analyzed, involving 937 patients, 869 of whom received actual CES stimulation, it is found that the mean effectiveness was 50%. And as was said of anxiety above, if hundreds of additional depression studies are completed with CES in the next 50 or so years, 95% of them will have results falling between 32% and 68%. No known antidepressant medication can match those figures. Interestingly, many physicians look at studies dating back to 1968 and say, “Those studies are so old. I would rather see studies done within the past 5 years.” It is not that they think depression has changed over the past37 years, or that CES has probably changed. They just feel more comfortable not using “old” stuff when deciding on a new medical treatment. That probably comes from the pharmaceutical industry’s constant replacing of one drug with a “better” drug of the same type. When the company’s patent runs out on the current medication, it is absolutely necessary to market its “better” successor that can then be patented. So where once they pushed penicillin, then ampicillin, they now push “broader spectrum” penicillins that have, if anything, more profound negative side effects. Insomnia studies have been harder to come by since apart from asking a subject how he slept last night, the difficulties can range up to such things as having them hooked up to a brain wave monitor all night as they sleep in a laboratory bed in a research center. Nevertheless, we do find at least 20 studies in the CES scientific literature, and when these are put into a combined analysis, it is found that CES treatment resulted in a very strong 64% sleep improvement across the board. Ref. : “How Understanding Science Helps Understand CES” By Ray B. Smith, Ph.D., M.P.A. This entry was posted in CES Research on September 26, 2016 by cesadmin. It is perhaps time to set the record straight about transcranial direct current stimulation, commonly known as tDCS and the sudden rush to embrace this new technology. There is a serious misunderstanding which should be done away with at the outset. tDCS is not ECT ( electro-convulsive therapy). We are talking instead about a totally different modality. Further, within that modality, yet another distinction should be made. There is tDCS ( transcranial direct current stimulation) and CES (cranial electrical stimulation) which is based not on DC but on AC ( alternating Current). Much of the current ( no pun intended) hoo-hah is about tDCS and specifically the device being marketed by foc.us. It is based on research of a dubious nature and promoted as a new hula-hoop for the mind for gamers and those hoping for a quick cognitive fix. Though it affects the human condition, the FDA has not intervened to regulate the device, primarily because its sponsors make no medical claims. It has also not been adequately tested for safety, though the amperage, being as low as it is in all probability harmless. Due to the absence of studies, very little is known about the long term effects of tDCS on developing brains. CES ( cranial electrotherapy stimulation) is also a hand-held electronic device that is simple to use and has no side effects. Unlike tDCS, however, CES, however, has been around for more than half a century, has a substantial body of solid scientific research behind it, as well as an unblemished safety track record. CES manufacturers are registered and monitored by the FDA and are allowed to make claims for their device for the treatment of anxiety, depression, and insomnia. Though no claims are made about enhanced cognitive functioning, results demonstrate gains in that realm as well. Common sense says that cognition is very much a function of those states. If you are less anxious and depressed and getting a good night’s sleep, your cognitive functioning improves as well. Conversely, the more stressed out you are, the less able you are to think clearly. It is somewhat depressing as one who has worked in the field for more than 35 years to encounter a discussion on the brain and electrical activity and hear not a word about CES. Incidentally, at a time when our veterans are struggling to find a non-drug solution to PTSD, CES is being currently used exactly for that purpose, being prescribed for active duty personnel returning from the mid-east at the Warrior Combat Stress Reset Program at Ft. Hood, TX, at Ft. Campbell, KY, Ft. Joint Ft Lewis-McChord, WA, at the Bremerton WA Naval Hospital, as well as in combat conditions in Iraq and Afghanistan. When it comes to employing gentle electrical stimulation for the treatment of depression, anxiety, and insomnia as well as an associated upswing in cognitive functioning, using a government regulated modality, CES is clearly the only viable option. This entry was posted in Inflammation and tagged ces ultra, cesultra, cranial electrical device, cranial electrical stimulation, cranial electrotherapy, transcranial on September 25, 2016 by cesadmin. 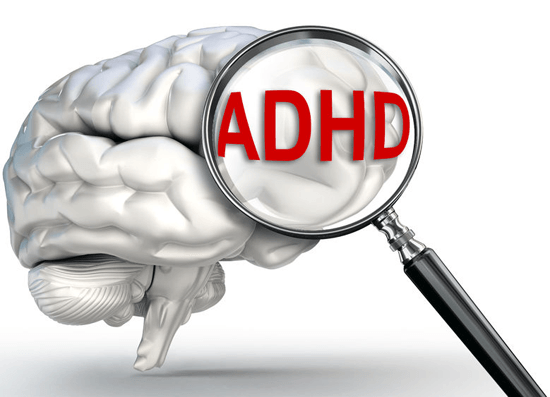 o An estimated 1 million more children were reported by their parents to be taking medication for ADHD in 2011, compared to 2003. These figures should give pause for consideration. 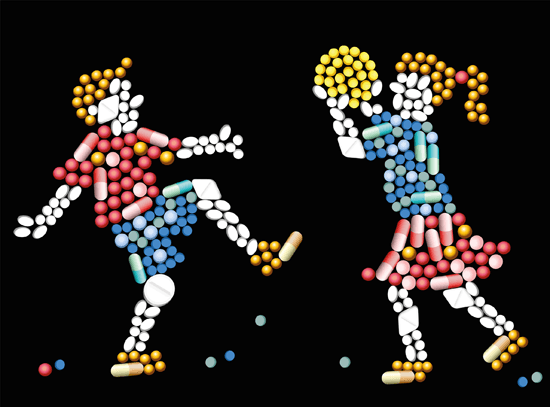 By increasing children’s dependence on pharmaceuticals, they learn that the best and easiest way to deal with their emotional issues is by taking a drug, perfect training for their adult years and an added incentive to graduate to recreational drug use and an increased reliance and dependence on prescriptions as a pathway to health. This entry was posted in ADHD, Alternative Health, Anxiety, CES v. Drugs and tagged ces ultra, cesultra, drug for adhd, kids with adhd, treats adhd on September 24, 2016 by cesadmin. We’ve been doing a trial with the CES Ultra the past week. The subject was DS*, our 14 year old with diagnosed insomnia, anxiety, and depression. He used the unit for 20 minutes per day, at bedtime. Our family gives CES an “A” grade and a “thumbs up.” The unit’s positive effect on our anxious, depressed, irritable, insomniac teen has taken a lot of stress off of the entire family. And I must add, finding a psych doc who gave us a free (with consult) week-long trial period on the device was very helpful before making the full investment in purchase, which we plan to do. Smith, Ray B., McCusker, Charles F., Jones, Ruth G., and Goates, Delbert T. The use of cranial electrotherapy stimulation in the treatment of stress related attention deficit disorder, with an eighteen month follow up. Unpublished, 1991 and follow-up in 1993. This study compared the effects of 3 randomly assigned CES devices which had marked differences in electrical stimulation parameters, in the treatment of stress related attention deficit disorder in 23 children and adults, 9 males, 14 females, 9 – 56 years old (average 30.96) with an average education level of 10.56 years. All had been diagnosed as having generalized anxiety disorder (61%), and/or depression (45%), and/or dysthymia (17%). 8 had a primary diagnosis of ADD. CES treatments were given daily, 45 minutes per day for 3 weeks. All 3 CES devices were equally effective based on Duncan’s Range test in significantly (P<.001) reducing depression as measured on the IPAT depression scale (mean of 19.38 ± 8.44 pretest to 13.19 ± 7.00 post test), state and trait anxiety scales of the STAI (mean state anxiety was reduced from 39.95 ± 11.78 pretest to 29.76 ± 6.99 post test, and the mean trait anxiety was reduced from 43.90 ± 11.31 pretest to 32.19 ± 7.50 post test), and in increasing the Verbal pretest (mean of 99.38 ± 13.20 to post test of 107.50 ± 14.13), Performance (mean of 107.4 ± 15.05 to 126.6 ± 14.2 ), and Full Scale I.Q. scores on the WISC-R or WAIS-R IQ tests (mean of 103.2 ± 13.7 to 117.6 ± 14.28). 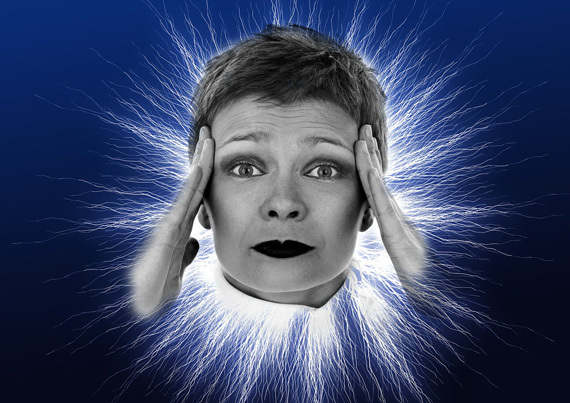 The authors concluded that in the unlikely event that our findings are the results of placebo effect alone, a CES device, retailing at approximately $795, would still be a relatively inexpensive and apparently reliable treatment for such a debilitating disorder as stress related ADD. On 18 month follow up, the pts performed as well or better than in the original study, the Full Scale IQ had not moved significantly from where it was after the first 3 weeks of treatment, the Performance IQ fell back slightly, while the Verbal IQ continued to increase. There did not seem to be any pattern of addiction to or over dependence on the CES device. There was no side effects except for 1 pt who cried during treatments, and 1 who was sore behind the ears when the electrode gel began drying out. The cornerstone tenet of medicine is “Do no harm.” Don’t you owe it to your child to try a safe, effective, non-invasive approach before turning to drugs? Consider the CES Ultra. Another Therapist Reports: CES Intervention Diffuses Anger, Decreases Hyper-Irritability, & Improves Health of 21-year-old Female College Student after Other Therapies Fail. This entry was posted in ADHD, Alternative Health, Anxiety, CES v. Drugs and tagged ces, ces ulgra, cesultra, cranial electrotherapy to treat ADHD, kids ADHD on September 23, 2016 by cesadmin. The first published account of CES and chemical dependence (CD) was a study by Wen and Cheng (1973). Forty patients admitted to Kwong Wah Hospital in Hong Kong for a variety of ailments who were coincidentally addicted to opiates were engaged in a study using CES combined with acupuncure for withdrawal symptoms. The subjects had been addicted for periods ranging from 3 to 58 years. A CES device of unspecified wave patterns was used at a frequency which was gradually increased from 0 to 125 Hz at an unspecified intensity. The electrodes were attached to acupuncture needles placed in the conches of both ears. The length of treatment varied depending on individual patient needs, averaging 1.5 hours. The number of treatments also varied widely as seen from Wen and Chang’s comments, “In the first few days of treatment, we gave the patients two or three days, followed by one stimulation for the next four or five days.” Outcome measures were the researchers’ clinical observations of patient improvement and the patient’s sense of well being. Neither normal treatment, no treatment, nor placebo controls were used in the study. Results showed that 39 of the 40 subjects were discharged to out-patient clinics non-addicted and withdrawal symptom- free after the CES acupuncture treatment. All 39 of the subjects suffered little or no withdrawal symptoms during the study. These findings received the attention of numerous clinicians and researchers throughout the world. This entry was posted in addiction on September 21, 2016 by cesadmin.